Don’t be afraid to explore the causes of angry emotions. Team up with your child to help them deal with their anger. This way, you let your child know that the anger is the problem, not them.With younger children this can be fun and creative. Give anger a name and try drawing it. For example, anger can be a volcano that eventually explodes. How you respond to anger can influence how your child responds to anger. Making it something you do together can help you both. Work together to try to find out what triggers the anger. You'll learn to recognize the early warning signs that anger is starting to rise. Talk together about strategies you and your child can use against anger. You could encourage your child to count to 10 or walk away from the situation. When you see the early warning signs, give your child a gentle reminder that anger may be trying to sneak up. This gives them the chance to try their strategies. Have an agreed goal to work towards, with a way of recognising what you’re achieving together. You could have a star chart on the wall and reward your child with stickers for keeping anger away for a whole hour, then gradually move to half a day, then a day and so on. Positive feedback is important. Praise your child’s efforts and your own efforts, no matter how small. This will build your child’s confidence in the battle against anger. It will also help them feel that you're both learning together. The more time you spend on praising their efforts, the less time there is for punishment for failing. When anger takes over, it can come in different forms, from a verbal outburst to being physically aggressive and causing damage to furniture. Anger can sometimes make children act in a way that's harmful to themselves or others. For example, punching walls or hitting out. Try to make the surrounding environment as safe as possible if this happens. If you’re concerned that anger is taking over your child and your family, don’t hesitate to talk to a GP, health visitor, school nurse or psychologist. Anger is like the mercury in a thermometer. 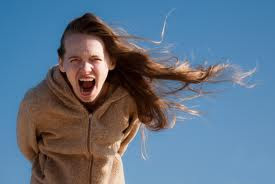 When left unchecked the intensity of the emotion increases from frustration to anger and then to other things like rage and bitterness. As the intensity builds, people shut themselves off from others and relationships close down. Having a plan to deal with anger can limit the intensity and prevent much of the destruction anger tends to cause. Most families don’t have a plan for anger. They somehow just continue on, hoping things will get better. Many families don’t resolve their anger, but just keep trying to start over. Starting over may be helpful at times, but it tends to ignore the problem rather than address it. Here are some ideas for dealing with anger in your family. 1. Anger is good for identifying problems but not good for solving them. One of the problems people face is the guilt they feel after they've gotten angry. This further complicates the situation. God created us as emotional beings and emotions are helpful for giving us cues about our environment. Anger, in particular, points out problems. It reveals things that are wrong. Some of those things are inside of us and require adjustments to expectations or demands. Other problems are outside of us and need to be addressed in a constructive way. Helping children understand that anger is good for identifying problems but not good for solving them is the first step toward a healthy anger management plan. 2. Identify the early warning signs of anger. Children often don’t recognize anger. In fact, many times they act out before they realize what happened. Identifying early warning signs helps children become more aware of their feelings, which in turn gives them more opportunity to control their responses to these feelings. How can you tell when you’re getting frustrated? How can your children identify frustration before it gets out of control? Learn to recognize the cues that your child is beginning to get frustrated. Look for signs that come before the eruption. Once you know the cues, begin to point them out to your child. Make observations and teach your child to recognize those signs. Eventually children will be able to see their own frustration and anger and choose appropriate responses before it’s too late. They’ll be able to move from the emotion to the right actions, but first they must be able to recognize the cues that anger is intensifying. Teach your child to take a break from the difficult situation and to get alone for a few minutes. One of the healthiest responses to anger at any of its stages is to step back. During that time the child can rethink the situation, calm down and determine what to do next. Frustrations can easily build, rage can be destructive, and bitterness is always damaging to the one who is angry. Stepping back can help the child stop the progression and determine to respond differently. The size of the break is determined by the intensity of the emotion. A child who is simply frustrated may just take a deep breath. The child who is enraged probably needs to leave the room and settle down. After the child has stepped back and settled down, then it’s time to decide on a more appropriate response to the situation. But what should they do? Parents who address anger in their children often respond negatively, pointing out the wrong without suggesting alternatives. There are three positive choices: talk about it, get help, or slow down and persevere. Simplifying the choices makes the decision process easier. Even young children can learn to respond constructively to frustration when they know there are three choices. These choices are actually skills to be learned. Children often misuse them or overly rely on just one. Take time to teach your children these skills and practice them as responses to angry feelings. 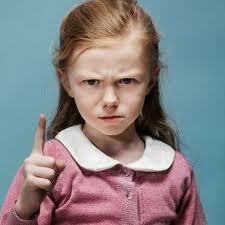 5.Never try to reason with a child who is enraged. Sometimes children become enraged. The primary way to tell when children are enraged is that they can no longer think rationally and their anger is now controlling them. Unfortunately, many parents try to talk their children out of anger, often leading to more intensity. The child who is enraged has lost control. You may see clenched fists, squinting eyes or a host of venting behaviors. Anger is one of those emotions that can grab you before you know what’s happening. The intensity can build from frustration to anger to rage before anyone realizes it. Whether it’s the two-year-old temper tantrum or the 14 year-old ranting and raving, don’t get sucked into dialog. It only escalates the problem. Talking about it is important but wait until after the child has settled down. 6.When emotions get out of control, take a break from the dialog. Sometimes parents and children are having a discussion about something and tempers flare. Mean words often push buttons which motivate more mean words and anger escalates. Stop the process, take a break and resume the dialog after people have settled down. 7.Be proactive in teaching children about frustration management, anger control, rage reduction and releasing bitterness. Model, discuss, read and teach your children about anger. There are several good books on this subject available, which are written for children at various age levels. Talk about examples of frustration and anger seen in children's videos. Talk about appropriate responses. Work together as a family to identify anger and choose constructive solutions. 8.When anger problems seem out of control or you just don’t know what to do, get help. How to deal with Child Anger?